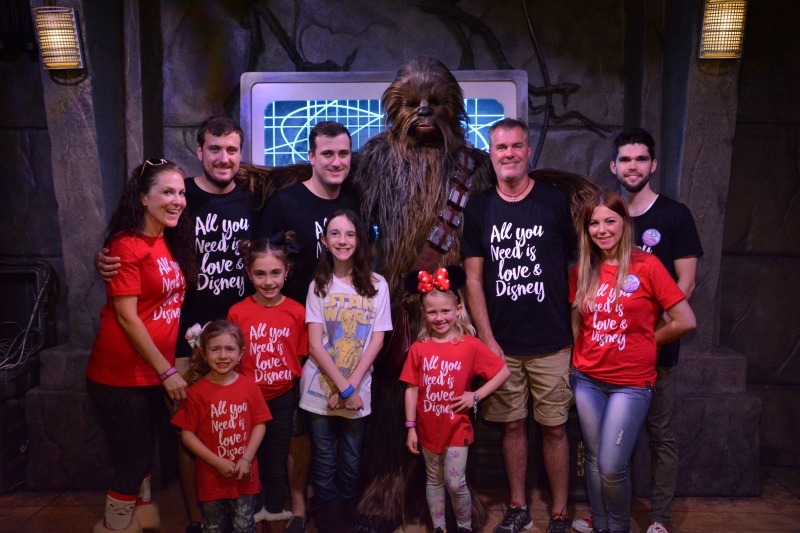 A few months ago our family returned to Walt Disney World for a very fun and exciting Disney vacation. We stayed on property at the Disney’s Boardwalk Resort for 7 fun filled days. This was not our first trip to Disney, but it was our first trip to Disney as a family. We had our little girls with us, our adult kids, our granddaughter and our new son in law. Since our entire family was with us, we knew that we were going to create an incredible amount of memories. I didn’t want to miss one memory, so as I did in the past, I made sure to purchase the Memory Maker. If you have not heard of this amazing product that Disney offers, I am here to open your world to something amazing. 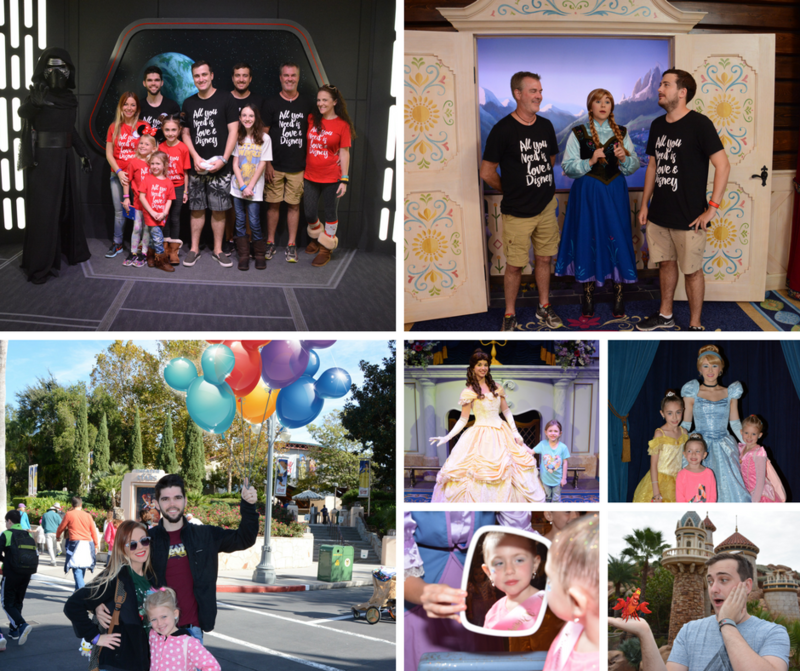 Here are my 15 Reasons the Memory Maker at Walt Disney World is Worth the Cost. As a mom, I am always ready to take pictures of my kids and family at any given cute and not so cute moments. I love to capture memories through a lens so that we can look back on them 20 years later. Sadly, I have discovered that being that mom that loves to take a million pictures while on vacation causes me to miss out on actually visually enjoying certain moments. Thankfully a few years ago, I was introduced to the Memory Maker. It’s an amazing perk that Disney offers and right now it is around $150. I’d love to share with you 15 Reasons the Memory Maker at Walt Disney World is Worth the Cost, along with a few tidbits about it that are really awesome. There are Disney PhotoPass photographers everywhere! In addition to being at the Disney parks, they are also located inside some of the character dining restaurants such as Akershus Royal Banquet Hall, at Bibbidi Bobbidi Boutique, outside of Bibbidi Bobbidi Boutique, Character Spots throughout the park and more. Your party gets unlimited pictures for $150. You can ask a PhotoPass photographer to take 3 pictures of you next to Spaceship Earth or 10 pictures of you next to Spaceship Earth. You can pose differently, have the kids in one picture and the entire group in another. There is no limit. Do you love ride pictures? With the Memory Maker, you get unlimited ride photos for rides such as Space Mountain, Hollywood Tower of Terror, Rock ‘n’ Roller Coaster and more. I love this because I make it a goal to go on these rides and make ‘brave’ poses and my kid’s goal is to go on the rides and make silly poses. In addition, to unlimited ride pictures, the Memory Maker also includes the rides that include videos, such as the Tower of Terror and the Seven Dwarfs Mine Train. These are the coolest videos to watch and share with your friends. With the Memory Maker, there was no reason to bring my personal camera. I still used my cell phone to take 500 random pictures but for the most part, the PhotoPass photographers were there when I needed them. During this trip, our party consisted of 3 groups that consisted of 10 people. We linked our rooms together and by doing this we were able to be on the same Memory Maker plan. That is 10 people, which included 6 adults and 4 kids, on one plan. In an effort to save money, the adults split the cost of the Memory Maker so it totaled to around $25 per adult. That makes the Memory Maker at Walt Disney World really worth the cost. When you travel with a big group like I discussed in reason number 6, when you use the Memory Maker, you don’t have to be together in order for it to work. Each adult can use their personal Magic Band to scan the photo that was taken of them. After a picture is scanned onto your Magic Band, it almost immediately shows up on the My Disney Experience app. Some ride photos will take longer to show up, but most show up within minutes to only a few hours. It turns into great entertainment while waiting in a long line. 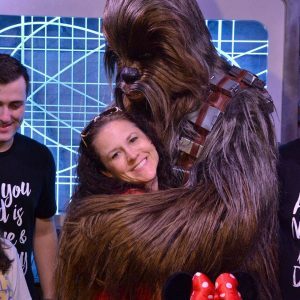 You own all of the pictures that are taken by the PhotoPass photographers and you can share them on social media and have them printed at your favorite photo lab. The PhotoPass photographers can add fun Magic Shots. This can include Tinkerbell, Olaf, and more. When the photographer is taking your picture, you never know what they are up to until after they scan your Magic Band and you look through your Memory Maker pictures. There are a few Disney restaurants that have a PhotoPass photographer available to take your picture with the designated character such as Cinderella. Some restaurants include Akershus Royal Banquet Hall and 1900 Park Fare. This is a great chance to get a group picture with the perfect setting. As I stated above, the Walt Disney PhotoPass photographers are everywhere. If you plan on visiting Enchanted Tales with Belle with your little prince or princess, you will find photographers working for you to get every shot they can of your little one, especially the perfect shot of your little one with Belle at the end of the show. In addition, if you plan on taking your prince or princess to Bibbibi Bobbidi Boutique, the PhotoPass photographers will take the most beautiful pictures of your little one during the entire process, in addition to a mini photo session after the transformation has been complete. THIS alone is a reason to purchase the Memory Maker. Here are some Bibbibi Bobbidi Tips You Will Want to Know. A nice benefit of the Memory Maker is that they take multiple unposed photos. For example, they catch that unexpected smile on your child’s face when they see Mickey Mouse or the conversation that dad had with Anna and Elsa. The multitude of pictures that they provide, tell an amazing story. The PhotoPass photographers are professional and love their job. Even if you don’t have the Memory Maker they will gladly use your camera to take a picture, but it’s not the same. They use a professional camera to guarantee that the pictures they take for you are high quality. I hope you took the time to watch the video. I can’t believe that they were able to look ‘normal’ on this ride while holding their phones and not have it fly out of their hands. I am so happy with the value that the Memory Maker provides that it will be a purchase that I make for every trip that I plan at Disney. Have you purchased the Memory Maker? What are your thoughts? Can you add to my list of benefits? Love the video! The cell phones were so funny! We went last year at the end of august and for a 6 day trip we came home with over 1000 photos from the memory maker. My favourites were the pictures from the Jedi training camp and BBB. We went in mid July 2016 and also had a great experience with the Memory Maker package. Great list! Maker. I found the photographers limited and you had to find one and then wait in line. I just didn’t want to wait in another line neither did my kids. I could of just used my own camera with the characters. I thought there would be more ride photos too. Like the ones you can’t take pics in Peter Pan Winnie the Pooh. I probably wouldn’t buy this again. When did you go? I wonder if there are less PhotoPass photographers during certain seasonal times.